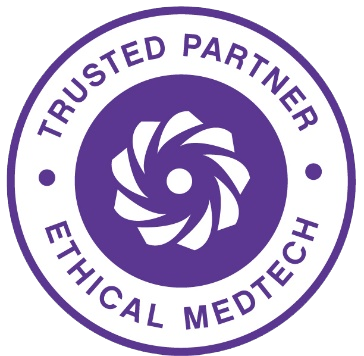 ECC Lausanne was rated as COMPLIANT by EthicalMedTech. Below you will find various sponsoring levels. You can decide on your preferred sponsoring option and add some extras or choose those individually. We invite you to go through all the different sponsoring options, complete and submit the form. If you decide on downloading the form, please make sure to fill in all the necessary details and send it via fax or email. As we are deeply interested in your ideas and individual sponsoring, we encourage you to contact Ms Valentina Macura to discuss your sponsoring. Since our organisation team works closely together with the scientific secretariat of each congress, we always need to discuss and verify your inputs in the program with them. We would appreciate your written suggestions (topics for symposia etc.) as soon as possible, in order to be able to coordinate all the details and finalize the program. Given that we aim to contribute to a more transparent way, a contract for the sponsoring is always required. It can either be drafted by you as a company or by us. Please let us know your preference. You will then receive your confirmation as well as the invoice, which is payable within 10 days, but no later than 4 weeks before the meeting starts. Please note that we cannot list you as a sponsor before receipt of payment. If your sponsorship includes any material in the congress bag or on site, please note that it is the company’s duty and responsibility to provide the organizer with this material in order to fulfil the service. More detailed information regarding the procedure will be sent in time. For any presentation, the speakers’ name and contact details must be provided to HSEC Swiss GmbH by the sponsor at least 2 weeks after the registration for sponsorship. The deadline is May 15th, 2019. In addition, please send us your logo in high quality so that we can put it on the website and in the program. Approximately 2 weeks prior to its start, you will receive all relevant information (booth plan, opening hours of the exhibition area,…) for your presence at the meeting. In return, please let us know the names of whom you would like to register for free as part of your sponsor package until the May 15th, 2019. A limited number of 2 symposia will be given on a first come first serve basis. The content needs to be discussed with the congress secretariat and speaker selected by the company. Symposia and workshops include room, room setup, basic audiovisual and registration services. Please note that anything additional could be composed of any marketing efforts as well as faculty expenses, such as honorarium and/or travel. These expenses are not covered in the sponsor packages. The speakers’ name and contact details have to be provided to HSEC Swiss by the sponsor 2 weeks after the registration for sponsorship. The Symposia and/or workshop must be educational in nature. The material for the Symposia and/or has to be provided by the sponsor. A limited number of 1 slot will be given on a first come first serve basis. This session is provided by experts from the industry to teach practicing physicians. The main objective is to learn how to prevent and manage potential complications with a particular device or technology. The content needs to be discussed with the scientific coordinator. The speaker of your choice has to be discussed with the course directors. Faculty expenses are not covered in the sponsor packages (eg. travel, hotel, additional fees, etc.). The Tech Update must be educational in nature. The material for the session has to be provided by the sponsor. Our world is constantly changing and we all expect transparency and fairness for whatever decisions are being made. This obviously also influences our field – medical education and the cooperation between physicians and industry partners. We as congress organizers are fully committed to contributing to a more transparent organization of our congresses and meetings. With this statement, HSEC and all of its members declare to disclose all information and without equivocation work within the principles of transparency. We will comply with the MedTech Europe Code of Business Practice and relevant local laws, regulations and industry codes. Our “Third Party Organised Education Events” will be submitted to the Conference Vetting System (CVS) for assessment in order to ensure its clear guidelines and rules. HSEC and its members will take necessary measures to comply and ensure approval of its congress and meetings. The focus of our work will always remain in the education of physicians, and furthermore, in giving the patients the best treatment. Exchanging information, especially problems and their solutions is essential to medical progress and this is where we aim to play a major role. The main purpose of our events is to create a space for communication and hence, foster new ideas and improvement in medicine.